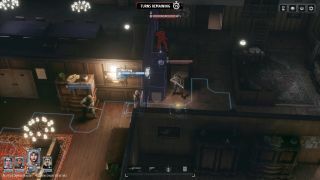 Strategic spy thriller Phantom Doctrine launches today, letting players explore the treacherous world of Cold War espionage through XCOM-like stealth and combat. While predominately a single-player experience, CreativeForge’s game also allows players to compete in head-to-head multiplayer battles. Given how Phantom Doctrine blends spy fiction with tactical strategy, this makes for an intriguing setup for a multiplayer game. We reached out to the developers to find out how it works. In addition, they’ll need to understand some of the unique mechanics that differentiate Phantom Doctrine from XCOM. These include as the Awareness system, which determines how likely an agent is to dodge an enemy attack. Meanwhile, each weapon has multiple firing modes, which can be used tactically to maximise damage or suppress enemy agents. “With teams of up to six such agents, each match becomes a series of unforeseeable events,” the devs say. Phantom Doctrine impressed Jody Macgregor when he went hands on with it back in June.